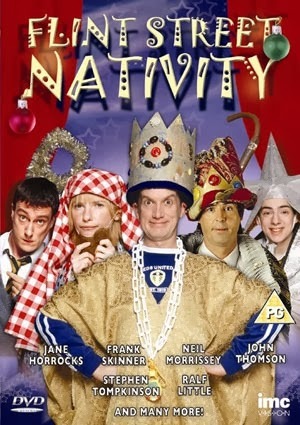 Much more fun than traditional takes on the Nativity is Tim Firth’s The Flint Street Nativity (which I’d somehow managed to avoid seeing until now) which is utterly charming and heart-warmingly British in the best possible way. Firth’s conceit is to have adults playing children, hardly the most original of ideas, but as the pupils of this infant class put on a chaotic performance of the Christmas story complete with onstage squabbles and backstage power struggles, we see how the turbulence of their home lives is played out in their interactions with their schoolmates. 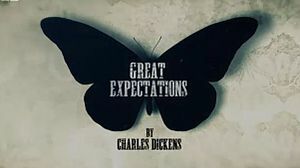 One of the centrepieces of the BBC’s festive television schedule was a new adaptation of Charles Dickens’ Great Expectations by Sarah Phelps. Dickens could well loom large in the coming months as it is the 200th anniversary of his birth in February, but I’m not yet aware of a deluge of programming, whether on television or in the theatre, though I am reliably informed that there’s many radio serialisation on at the moment. As is often the case with new productions of classics, the key word is adaptation and though purists may baulk at some of the changes instituted by Phelps and director Brian Kirk, but that would be a shame as I found this to be a rather special piece of television, the BBC doing what it does best. Apparently the play Collaborators was sent to the National Theatre on spec and as it is now opening in the Cottesloe (this was a preview) in a production directed by Nicholas Hytner and starring Simon Russell Beale and Alex Jennings amongst others, it would perhaps suggest that anyone could be in with a chance of getting a play on the stage. But things are rarely as simple as they seem and although this is the debut play from John Hodge, he is a highly experienced screenwriter whose credits include Trainspotting, Shallow Grave and The Beach. 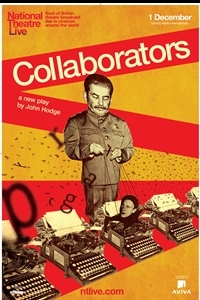 His play riffs on historical fact to portray an imagined relationship between Russian playwright Mikhail Bulgakov and one of his biggest fans, Joseph Stalin, who commissioned him to write a play about his life for his sixtieth birthday. Dion Boucicault’s 1844 play, London Assurance, the latest National Theatre production is a rip-roaring, farcical romp of a show that should leave even the most depressed Phantom of the Opera fan with a smile on their face. With a quality all-star ensemble: Simon Russell Beale, Fiona Shaw, Richard Briers, Michelle Terry, Paul Ready, all hamming it up for all they are worth, I can’t recommend this highly enough.